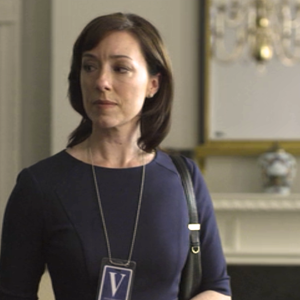 CATCH OF THE DAY: Jackie Sharp whipped her way right into our hardened hearts on Season 2 of House of Cards. But, the symbolism behind her poppy tattoo may reveal more than you originally realized. When we first learn about Jackie's secret tattoo in "Chapter 16" (the third episode of House of Cards' second season) we don't know much about her. But, what we do know is that over the course of the episode, she leaks information revealing the existence of Ted Havemeyer's secret daughter, who she considered part of her own family, in order to further her own ambitions. That's no easy feat. But, we quickly learn that Jackie is also no stranger to the greater good. As a soldier, she's had to kill to get ahead. And, if we know Frank Underwood, we know that's exactly the kind of person he likes to have in his pocket. Jackie's tattoo, however, seems to set her apart from the callous and sometimes emotionless Underwoods. Poppies, symbolically, are flowers associated with death and the remembrance of those who have perished during wartime. So, in "Chapter 16," when Jackie enters the tattoo parlor and asks for a new poppy to be added to her already intricate ink, it's not just a throwaway moment for some character development. Instead, House of Cards is very clearly telling us that Catalina and Emily are, in Jackie's mind, casualties of war. 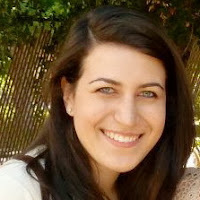 In a show where lives are often tossed aside (or in front of trains) without a second thought, Jackie Sharp serves as a fascinating foil to Frank Underwood. She's ruthless, but not without realizing that her actions have consequences and casualties, and her tattoo definitely gives us some symbolic insight into this facet of her character. As you said there is a meaning behind that tattoo.Hence every body want to get a tattoo on their body to express something.